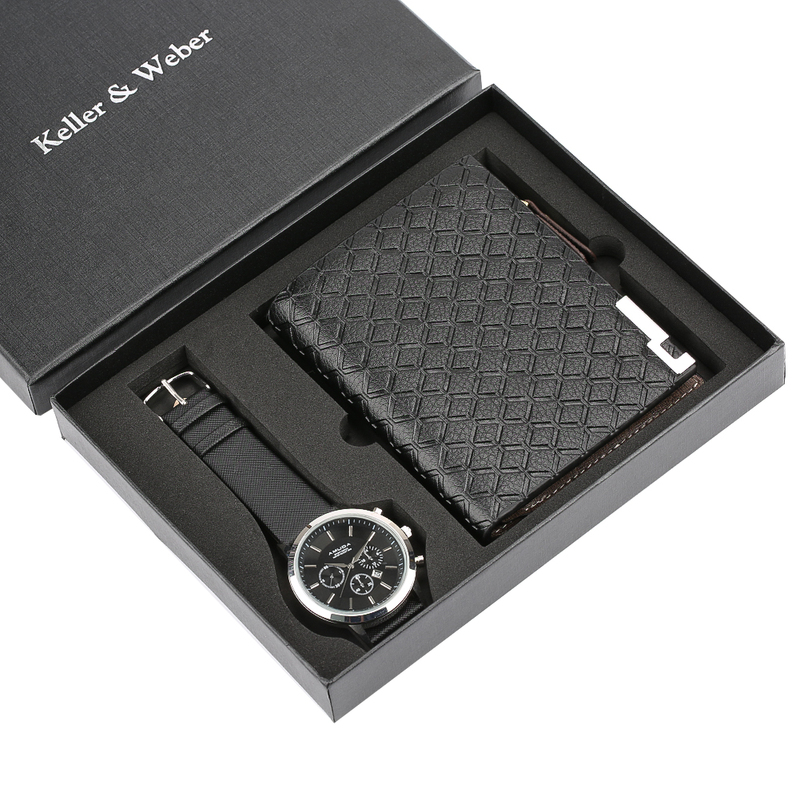 Elegant and Simple Dress Watch: This unique watch band will make you look more attractive, it matches perfectly with daily outfit. This wllet very containable, superb for travel, and everyday use, keeping cards safe and organized, a best christmas gift set for men. 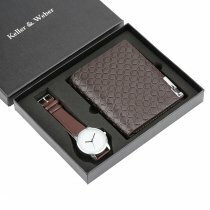 Ultra Slim Design: slim quartz wrist watch for boy boyfriend, allow easily put money and cards without looking bloated, never worry about puting this wallet in your trousers pocket. Fashion in design and delicate in workmanship, elegant simple exquisite quartz watch, ensures precise time quartz watch. This is a great christmas gift set for men, boy boyfriend, dad and husband.